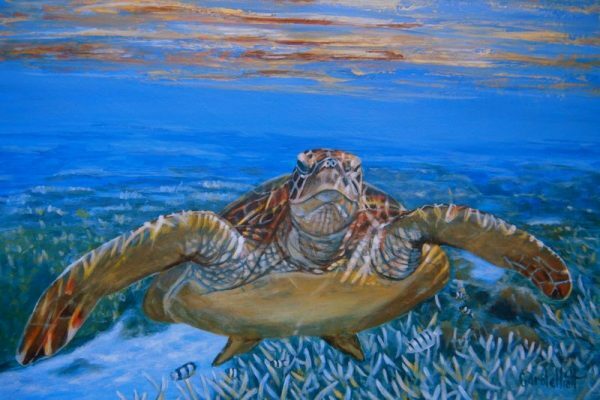 Carole Elliott – Queensland Wildlife Artists Society Inc. I have an affinity with the ocean and have recently moved near to the beach in the Yeppoon region of Central Queensland. Whilst I enjoy painting a variety of subject matters, my main love is the ocean and its’ inhabitants. 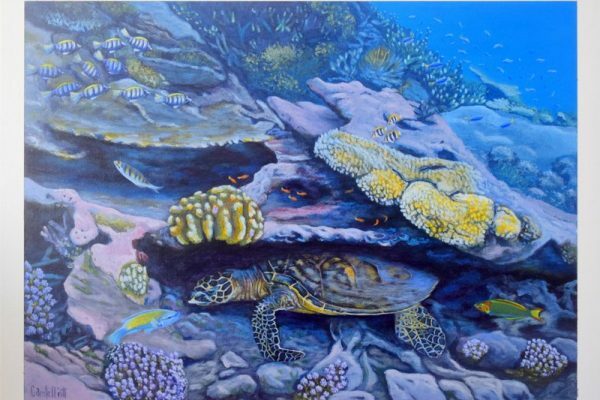 After visiting a Turtle Hospital in North Queensland I decided to use my artwork to support turtle rescue and rehabilitation organisations. 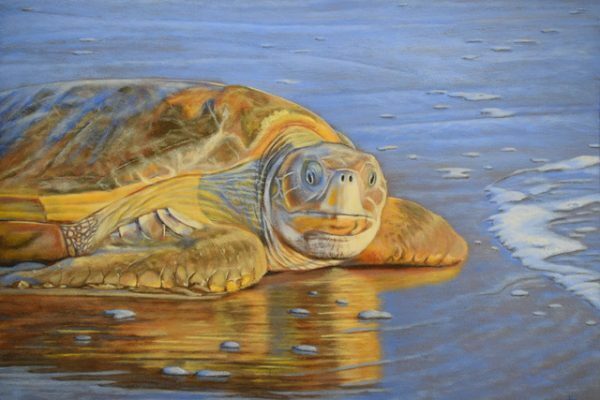 Many of our beautiful sea turtles are endangered, some of them critically, and I donate a large percentage from the sale of my turtle paintings to assist them. I obtain my source material during snorkelling trips to the beautiful islands on the Great Barrier Reef, most recently visiting Lady Elliot Island where the turtles are so friendly and the nearby Keppel Islands. During times when overuse of plastic and its’ migration into our oceans has become a serious issue, I hope that my works make people appreciate our environment and its’ wildlife.